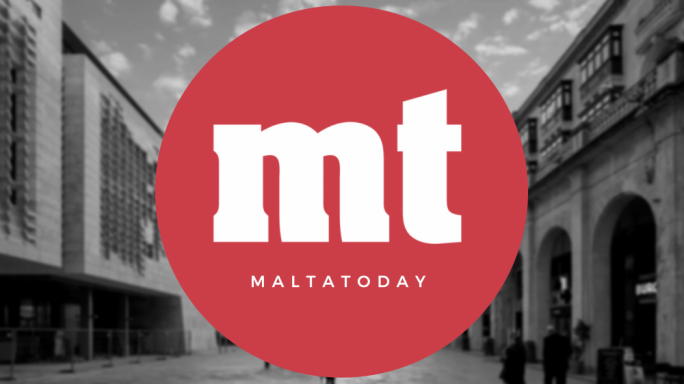 Throughout the years, one feature has consistently underpinned Malta’s otherwise fast-changing political landscape: the apparent lack of any politicians with enough moral fibre to stand up for what they truly believe in. Time and again, we see situations where there is practically no difference at all between the positions of either side of the House on issues which are otherwise deeply divisive to the rest of the country. It seems that, unless there is a serious risk of losing votes, most (if not all) MPs would much rather not voice any private opinion that might run counter to their party’s official line… even in areas where they disagree with their party. One example concerns the ‘consensus’ between Nationalist and Labour MPs to retain spring hunting after EU accession in 2004. When in government, both parties lobbied with the European Commission to secure derogations from EU law… even though it was an open secret that many MPs on both sides disagreed with their party’s position on the issue. Similar dilemmas were witnessed within the Labour camp, when former leader Alfred Sant aligned the party against EU membership ahead of the 2004 referendum. There were several Labour politicians who privately admitted to serious misgivings about Labour’s EU policy… but very few dared ever to voice their doubts in public. Likewise, several prominent Nationalist MPs were visibly uncomfortable when the PN took up an ill-fated official anti-divorce position in 2011. How many of them raised their concerns with their party leader, at a time when the mistake could still have been avoided? It is a question that must still rankle in the consciences of many well-intentioned Nationalist MPs today. It is regrettable to have to admit that the fundamental missing ingredient, in all these cases, is courage. It takes courage to take a firm stand, even knowing that there may be a heavy political price to pay. But it is also courage that the electorate expects from its representatives in Parliament; especially when it comes to issues and concerns that are close to their heart. Today, we have reached a situation where the same acquiescence underpins practically all issues which have serious environmental implications. Despite constant assertions that the two parties intend to ‘get closer to the people’ – or slogans to that effect – in many instances, they tend to actively ignore inconvenient issues that are important to their constituents, but not necessarily to themselves. Faced with mounting concerns about quality-of-life issues, Malta’s entire political class – with the exception, naturally, of smaller parties and pressure groups – only puts up an impressive wall of silence. It must also be said that, at the core of this malaise, there lies a cultural trait that is by no means unique to Malta (indeed, it is shared by many typical North African and Middle eastern countries), but which is far more pronounced here, than anywhere else in Europe. The unabashed ‘cult of the leader’, whereby any public contradiction of the ‘kap’ or ‘mexxej’ is automatically regarded as an act of ‘treason’ by the dissenters. This is clearly an unhealthy aspect of our political system. While it is necessary for political parties to impose a certain discipline on their members, such discipline cannot effectively take the form of censorship, or the repression of internal discussion. Political leaders are not, after all, infallible; and MPs are not elected to parliament merely to rubberstamp everything their leader says. Malta’s electorate has, in fact, grown more discerning in this regard. Outspoken politicians such as Marlene Farrugia – often described as a maverick – clearly command a certain respect, if admittedly among a narrow section of Maltese voters. Just as there is a price to pay for political outspokenness, there are also rewards. People respect politicians who have the courage to voice public discontent. Above all, there is also the issue of collective responsibility. Parliamentarians cannot lightly shrug off the repercussions of their actions (or failure to act) on the country as a whole. If their party is committed to an environmentally unsound policy, and they don’t make their concerns heard… they will sooner or later be blamed for the environmental consequences of their silence. One pressing example of this concerns the proposed tunnel linking Malta and Gozo. Talk to several MPs (government and Opposition alike) off the record, and they will freely admit that they disagree with this project entirely. They also justifiably fear that their party’s position – for both agree, on paper, to the idea – may alienate supporters who, for a host of immensely valid reasons, are likewise opposed. Yet when asked to go public with their concerns, they invariably decline… often as not, for fear of being singled out for opprobrium by their own party machinery, and branded ‘traitors’. It is clear that this mediocre, ineffective political approach has reached the end of its shelf-life. There are now growing pockets of citizens who can no longer disguise their profound dissatisfaction with this state of affairs, and who – as evidenced by the recent past – will not hesitate to pass on that message by means of their vote. It is a warning that politicians disregard at their own risk.